Milwaukee will face a different type of pressure as they come into the playoffs as a number one seed. They’ll catch a Detroit team that has stumbled to the finish line and could be without Blake Griffin. Bucks have their own injury issues. Even though there isn’t official word yet, they hope to have Nikola Mirotic for Game 1 of this series. It looks like Tony Snell will miss game 1 with an ankle injury. Malcolm Brogdon will probably be out until Round 2. Even with Milwaukee’s M*A*S*H unit, they should have enough to the beat the Pistons. They swept them during the regular season, in part, because they’re one of the best defensive teams in the league. Detroit’s only chance would be to completely dominate the Bucks in the paint and that might not even be enough. The Raptors have been in this position before but he feels a whole lot different this time around. Exit fan favorite DeMar DeRozan and enter NBA Champion Kawhi Leonard. The former San Antonio Spur has given the Raptors must needed championship pedigree from the wing position. He can also guard the opponent’s best perimeter wing. Marc Gasol has also added a punch in the ball movement department. Toronto’s recorded assists went from 57.8% to 65.5% after the Gasol acquisition. When Coach of the Year, Duane Casey was let go for Nick Nurse, the Raptors knew they needed to show the NBA community that Nurse was the guy they thought he was. Nurse did just that. Casey had three straight 50+ wins seasons and Nurse continued the trend with 58 wins this season. What could also make this year different is something that Toronto had no control over… LeBron heading out West. The Magic couldn’t ask for a better scenario in what has turned out to be a Disney fairytale season. They were 2-2 against the Raptors this season, outscoring them by 30 points. Head coach Steve Clifford took over for Frank Vogel and the Magic win total went from 25 to 42. This includes a 22-9 record to finish the season. Remember that the next time someone tells you coaching doesn’t count in the NBA. Toronto will be pushed in the series but they should prevail behind a strong series from Leonard and Gasol. We are now two seasons removed from the “Trust the Process” era so now Philadelphia has expectations. Most thought Philadelphia and Boston were going to battle for the top two teams in the East. That never materialized. The acquisition of Jimmy Butler was made with this time of year in mind. Butler’s playoff experience plus Joel Embiid and Ben Simmons puts them in the conversation for winning the East. But the difference between making a deep run and going out before the conference finals will depend on how the complimentary pieces play. JJ Redick and Tobias Harris will have to make big plays if Philly wants to win multiple series. Like Orlando, Brooklyn is ahead of schedule. The Nets might be one of the most fun teams to watch. They are void of any superstars or superstar attitudes. Laker castoff, D’Angelo Russell, leads to the team in scoring at 21.1 points per game followed by feel-good story, Spencer Dinwiddie. But, the Nets will only go so far as their defense will take them. The Nets were in the middle of the pack in defensive efficiency right behind the Sixers. The big difference is, Philadelphia can make it up on offense where the Nets are quite as dependable on that end. The teams split during the regular season. Before the season started, we weren’t looking at Boston in the 4-5 series but here we are. There is no need to worry about these Celtics though. They have more than enough firepower, even without Marcus Smart, to overcome the Pacers. Boston won the season series 3-1. Off Fouls drawn (0.4), and Def Win Shares (2.9). The Celtics cruised through the regular season but expect for them to pick it up. The Pacers ended up with the 5th seed despite losing Victor Oladipo but this is where it catches up to them. 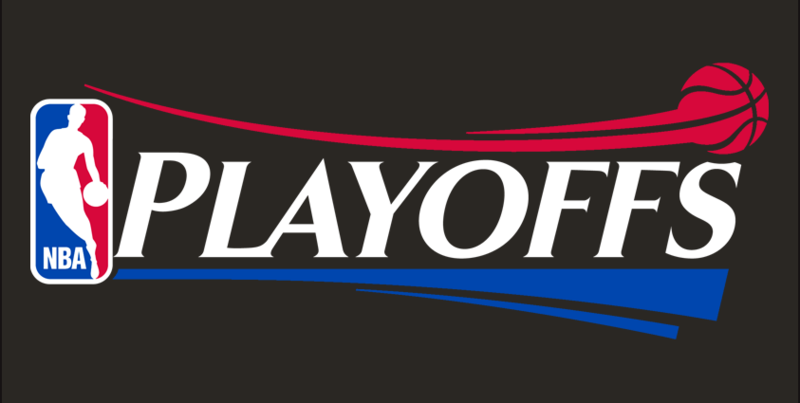 The playoffs are a different beast, in part, because you’re only concentrating on match-ups against one team. Expect the Celtics to dominate this series on the defensive end and cruise.